When you are unwell, you vibrate at a lower setting that leaves you feeling chaotic and unbalanced. Plant spirit medicine works synergistically with your body to create harmonious relationships in your cells. Your body has its own music and like a symphony it too must be composed. Your pains tell a story and this is how the body communicates. 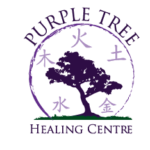 At Purple Tree Healing Centre, we listen to that story and compound plant spirit remedies specific to your body’s needs in order to raise you back into wellness. Health is your most previous commodity and often left to chance until it is too late. 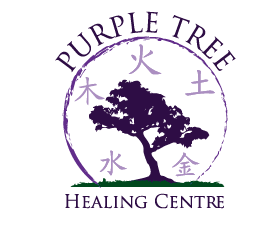 Purple Tree Healing Centre focuses on awakening your innate wisdom to restore allostasis of the body. To guide you in your life’s journey and become harmonious with your body’s vibrations. Everything is cyclical and timely. Nature heals, creates chaos for change and adapt or dies. Animals know this but humans face challenges in understanding their own rhythm. The story behind this logo is quite simple. Re-connect to nature and flow with the synchronicity that presents themselves to you and adjust to the seasons. The bonsai tree is traditionally approached as not merely a tree; it requires constant attention from its owner in order to maintain its health. 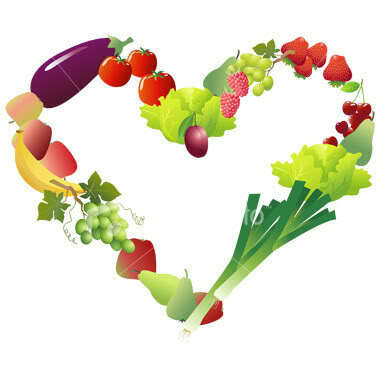 It requires love and dedication, just as your body requires the same to maintain balance. The 5 elements placed around the tree represent the cycle of nature, once attuned to your own cyclical nature, one does not feel or see imbalances but simply flow with life and everything comes and goes effortlessly. Each year is represented within an element. 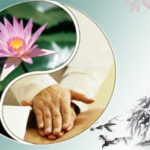 Elements show their imbalances when they become out of harmony with nature, blocking the flow of energy. The color purple is a high vibration though to be closer to the heaven and brings about healing. All these ingredients together represent YOU the beautiful soul that emanates from your body. Have you given thanks to your body for the magnificent work that it does hosting your soul and spirit. Who do you know that needs help understanding their body’s journey, We’d love to bridge the gap between humans and plant spirit medicine. 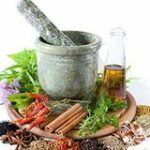 Buying quality herbs to make awesome herbal remedies is important. For those who are not local wishing to buy quality herbs and products you can click the link below to receive discount. I will receive a small contribution to help keep this website active. You can also visit my online shop for herbs I currently have in stock. Journey deep within yourself to unlock your inner wisdom, awaken your inner spirit, open the door to your guides and re-integrate lost part of yourself. These plants are powerful teachers that awaits you. Journey Within Your Inner Worlds.